It is one thing to run for yourself, but something entirely different to run for someone else. You know the benefits of running...why not let others benefit from your love of the sport while you train with your friends? The Run 4 Others training program was created in 2012 to provide free training, primarily for runners raising money as St. Jude Heroes. In the fall of 2014 we expanded the program to encompass any race and any charity. In the last four years, Run 4 Others team members have raised more than $198,000 for charity. Do you want to run early or late in the season? The choice is yours. Pick any race that fits your schedule. Once you register, you will be able to build your training plan. Your unique plan includes a weekly training schedule, training routes with cue sheets and even suggested training paces. Join us as a St. Jude Hero or select another charity, depending on your race plans or make a donation to a charity of your choice. 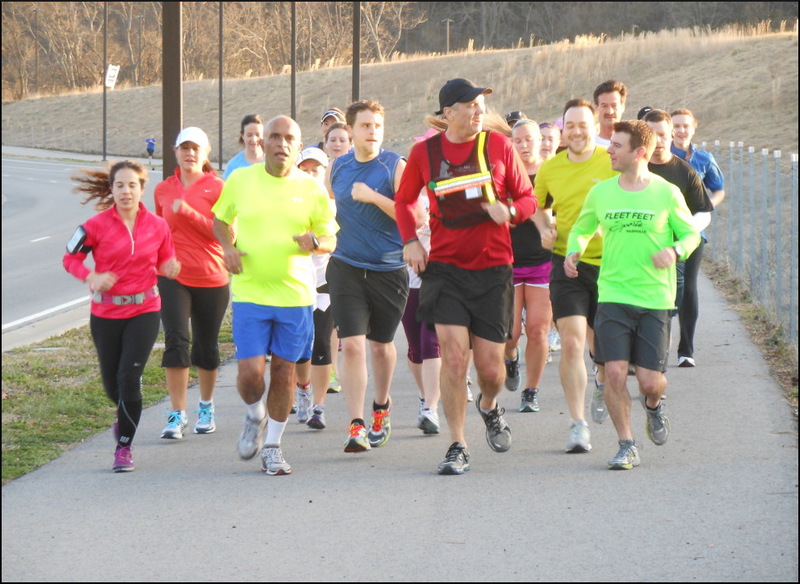 For simplicity, runners start Saturday morning group runs together from the Brentwood Library on Concord Road. Public restrooms and water fountains along the routes provide timely breaks and water refill stations. Specific information about each week’s run will be included in the weekly email and posted on Facebook. Most training programs cost around $100, but not this one. to one of our runners who is fundraising. Join us using the Sign Me Up button. and be added to the email list to receive group updates.